a little wally wip is all. i decided to make some abstract and photoshop it. was fun to work on. Awesome!!! Every piece is just awesome!!! I'm using this right now as my desktop PC background! glad you like my work man! ahh one of my oldy wallys . thnx for doing so, glad yah liked it . Man, that looks awesome great job. wow! well done! this is very good! 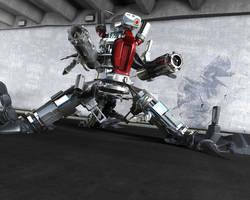 only w0000w 8 I like it but with that cool render u could do much more that that but its really cool..
i would burn you! lol. well imo the postwork isn't too good, but the 3D is awesome. You could make something more simple with the text. its all good bro, just a wally wip and was fun, thnx for the crit..
yeah bro but ima slow it down a bit though. i like my mat here, was just a wip anyway bud. kool if you digg this one dude . it's been said... killer render... I also like what you did with the texture and pattern at the top right. Stunning. My new wallie and I can't stop looking at it. Inspiring me enough to reinstall C4D. cool bud, glad it does . yeah just hope its not too minimal though. thnx. I like it, it is cool looking, but I don't know about the lower right corner, I think it would be better if it was dark like the rest of the picture. it was a last minute add, looked to uniform to me thnx though . I like brown wallpapers, it looks very well on my screen. looks cool! like the shape and bg! dont like the white gradient in the downer-right corner! actualy its blue but appears white, thnx man. i love that game but no bro .